What We Eat Really Can Make A Difference! What's The Difference Between Wait and Stay? What A Scary Morning--Almost Lost Abby! I Made An Ice Cream Cake! High Spiders, Bulldog in Pink, and a Bat, Oh My! Aha, Abby Gave In! I Win After All! Twelve years ago to this day Gerard and I were married. It was a beautiful warm day. Everything went as planned except for the limo arriving a bit late and the photographer insisting on so many pictures right after the ceremony. It made me feel bad that the guests had to wait so long to eat. Gerard and I did not smoosh the cake in each other’s face either. We shared it very nicely because we respected each other right from the start. We had the reception right at the church immediately after the ceremony. It was a nice ceremony, not a lot of people but intimate. We invited our guests to pray for our marriage. I was surprised how many actually did. My mom was in poor health so I made all the arrangements myself. 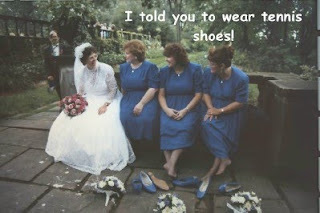 I was so glad that she and my dad both got to see me get married. I felt bad though that Gerard’s parents weren’t there for him because they both died before I even met them. He did have his brother and sister there though, and his three nephews were his groomsmen. Gerard helped me choose the flowers and we had balloons that we released afterward which was kind of fun. Gerard got a headache and laid his head in my lay on the way home. We were both tired from all the excitement of the day but enjoyed going through the cards at my parents house when we got back. We were thrilled with how generous people were! We spent that night at my place (upstairs from my parents), went to worship at our church the next day and then left for our honeymoon on Monday when we were fresh. My parents took care of Dickie Bird while we were gone (he was Gerard’s bird). Getting married is kind of scary because there are no guarantees, but if you go into it determined to work at it and stay faithful to each other no matter what, it can still work in today’s world. There have been a lot of changes over the years but it’s fun growing together and having someone to share our dreams, experiences and responsibilities with. We both got married when we were in our 40s and neither of us were married before. HAPPY ANNIVERSARY MR. WONDERFUL! I’M SO GLAD WE GOT MARRIED! Once again it was tough choosing my favorite reads for August. I went with the novel over the non-fiction, but The Last Lecture by Randy Pausch, Angel Dogs: Divine Messengers of Love by Allen & Linda Anderson and Still Growing by Kirk Cameron were all very good too. My Sister's Keeper by Jodi Picoult is a story of a family coping with a daughter who has Cancer and the sister who is destined to be the donor for her. It also has an interesting subplot of romance between the lawyer Anna hires and the lady appointed to make a recommendation to the court as to what she thinks is in Anna’s best interest. This would be a great book for a book club to discuss. It’s about feelings, ethics, motivations and relationships. It kept my interest all the way through and as usual in Picoult’s books, has a surprise ending. Gerard's Pick: Horse Soldiers by Doug Stanton was 700 pages in a large print book and I hated to see it end. It's a great book! This is going to be the BEST BOOK I read all year! I just wish this could be made into a movie. It is an amazing story of a group of men who are special forces who, after 911, go to Afghanistan to fight the Taliban. I don't want to tell you too much because I want you to read this book! You will be proud to be an American after you read this. Mr. Stanton, thank you for putting this story in print--fabulous job! I also thank the men of the special forces in this book for your service! God Bless! I give this one 700 stars! Click here to read more of our book reviews. I was pleasantly surprised that when I tried my 100% vegetable V8 juice that it actually tasted okay, way better than the green tea! I am stocking up on this. The bottle says it's more than half your daily vegetable requirement so I figure I'll drink two bottles a day and be covered. Whew, I'm glad I checked on the email I received that claimed it was a Cancer Update from Johns Hopkins before I posted about it. I googled Johns Hopkins Cancer and up came a notice from Snopes that this email is false. It suggested the National Cancer Institute website as a reliable source for cancer information at www.cancer.gov. Thanks to Jodi's Journey's Information About Baby Carrots post I found out that some of those aren't healthy at all! Some are coated with chlorine to preserve them but chlorine is a cancer causing agent. Fortunately, I bought the organic ones that hopefully are just little and not coated! At Jodi's Journey this week I also learned about this easy trick to keep the flies away: Fill a Ziploc bag with water and 5 or 6 pennies and hang it in the problem area. At Daily Blogs Tips I watched a video describing an interesting speed reading tip. The basic idea is that you need to stop reading with your larynx (i.e., trying to pronounce each word as you go, even if just mentally) and start reading with your eyes (i.e., the information is processed by the brain immediately as you see it). When I visited LaJolla Mom for the first time this week through SITS I found that baking soda works really well for cleaning wood cabinetry and furniture stains plus many more uses too. I just found out that Entrecard has updated their tool bar to be compatible with Firefox 3.5. I missed it because it is so convenient to advertise on blogs as I visit them this way. I'm still not going to get back in that dropping habit that takes up so much time. Here's the post with the download if you're interested: click here By the way, welcome back Junk Drawer! "Surely or only goodness, mercy, and unfailing love shall follow me all the days of my life…"
God has a plan to take every adversity, every hardship you go through and use it–not to beat you down and make your life miserable. No, God's dream is to take that difficulty and supernaturally turn it around and use it to bring you good. He will use those tough times to bring you out stronger, more mature, and prepared for promotion! Goodness, mercy, and unfailing love are God's plan for you! He's on Twitter and Facebook and has a blog at: http://www.joelosteen.com/Pages/Index.aspx where you can subscribe to his devotionals too! I know I should eat vegetables every day but I'm lazy. Many need to be cut up or cooked so that is the main reason why I don't eat them. They don't really fill me up either. Ready-made Salads are expensive! That's why my new best friend is the V8 100% vegetable juice! It tastes okay to me, like cold tomato soup, and one bottle is over half the daily vegetable requirement so I'll be drinking 2 bottles of that a day. I've also started drinking green tea every day. I discovered that the green tea bags are milder and not quite as bad as the green tea from our machine at work. If I put a little lemon in it and some ice, then I can swallow it if I picture it attacking those Cancer cells. Fighting Cancer is a great motivator to eat healthier! Thanks for all those who prayed that I would acquire a taste for these drinks! 1) Having to wait an hour or more to see the doctor after rushing to make the appointment on time. I had time to finish out my tennis match after all! 2) Taking off work to take my dad for blood work as scheduled and finding the lab closed. 3) Going for blood work and having to wait an hour to be taken because both technicians are out to lunch. 4) After waiting for almost two hours, being notified that the doctor just called and can’t make it because her car broke down! 5) Going to see your doctor about your test results which the doctor hasn’t even seen because they didn’t get them yet so I called for the hospital to fax them to him. 6) Taking off work early to go for the last Hepatitis shot in a series only to be told they ran out of medicine. 7) Going for a follow-up Ultrasound only to find that I can’t get it done because they didn’t receive an order from the doctor and he’s gone for the day. Have to reschedule! 8) Getting a call from your doctor telling you he needs to see you right away. Now that’s scary! 9) Calling for test results only to find out they haven’t come back yet. 10) Being charged for something that should be covered by your insurance because the doctor’s office put down the wrong code. 11) When your prescription runs out when the doctor is on vacation. What riles you about medical related experiences? There's a Cancer support group that meets once a month. This month's meeting met last Wednesday and the topic was nutrition. When the Cancer education counselor told me about it, my first thought was that I already knew what they would say. It's not like I don't know I eat unhealthy stuff and know vegetables are good for me. The last minute though, I decided to go after all to check it out, see who all was there, find out what the resource center looked like and where it was. I am so glad I went because I learned so much! The most important and biggest thing I learned was why certain foods are so bad and why others are so good. We saw a DVD called "Food For The Fight." I always thought "healthy foods" and "unhealthy foods" were all about weight management but boy was I wrong! According to this video, Food is medicine. Keep eating to survive even if doesn't taste good while having chemo. Sugar is cancer cells' best friend because it helps them grow. Good foods help build good cells that fight against the cancer cells. Good foods are: cooked vegetables, bananas, chicken, scrambled eggs, a dietary supplement. At least pizza wasn't on the "avoid" list, thank God! That is my staple food--I eat two slices 4 days a week! Exercise more, walking is considered exercise so I'm okay on this too. The American Cancer Society recommends that women with breast cancer exercise about 4 hours a week. 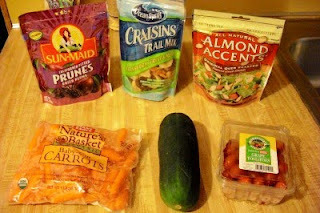 The day after the meeting I shopped and bought a salad, cucumber, tomatos, carrots, almonds, prunes, bananas, trail mix and some V8 juice to try.
?" 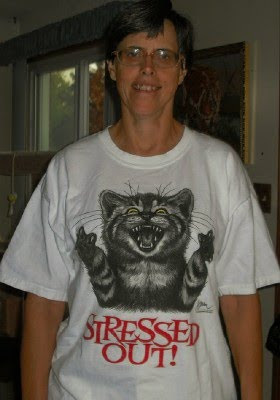 I used to be a "Junk Food Junkie," even had a shirt that said so. I was never fat so I kind of prided myself on being able to eat all kinds of fattening stuff without gaining for the longest time. I lived on Shakes, burgers, fries, fried chicken, pop every day, chocolate, Cheetoes, Doritoes, macaroni & cheese, some ice cream and of course lots of pizza! I made some changse when I started working out with a personal trainer but it basically amounted to cutting out the pop, fries, munchees and adding a protein drink. I still have a long ways to go, but I'm getting there with God's help! I hope by sharing this information others will reconsider their eating habits and perhaps avoid growing those Cancer cells! I managed to down 4 cups of green tea the first 3 days after attending this meeting. Please continue praying that I will acquire a taste for it--still not good! The movie was about a couple having marital problems and how God changed the husband's heart to show him what love really is which helped him to complete the "love dares" that his father challenged him to do for 40 days. It had some funny things in it and I found myself pulling for the husband to reconcile with his wife. She hired a lawyer to draw up divorce papers. He was a fireman and a hero to everyone but his wife. I didn't think the acting in this movie was all that good but I am glad I saw it because I heard a lot about it. Their main issue was over respect and I immediately thought the wife should make more of an effort to respect her husband right off the bat. I think couples can learn from this movie how to improve their relationship and would recommend any couple having marital problems get the "Love Dare" book and go through it before filing any divorce papers. I believe it could help you save your marriage. Have you seen the movie or did the 40-day Love Dare? If so, what did you think of it? We are enjoying our dog training classes very much and Gerard and I are learning that dog speak is very specific. 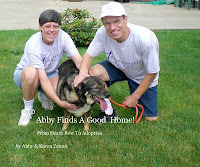 Abby is the "social butterfly" in our class and has quickly made friends with all the other dogs. Even the shy Killer came to her to sniff Saturday. Wait means to stop for several seconds such as when someone is at the door, or before crossing a street. It's a short-term command. The hand signal for wait that we learned is just holding up one finger like we do when we say "Wait a minute." When wait is done, we praise and tell the dog "let's go" or "come." Stay is more specific and more permanent. We want the dog to stay put in that particular spot until we come back to the dog to release it by saying "done" or "finished" to release the dog. The hand signal for stay is an open hand right in front of the dog's face. I use stay to tell Abby to stay downstairs when I go upstairs to visit the cats. It's not used as often as wait, but is an important command to learn. It is important to be consistent with the words and the signals every time and do it the same way so the dog knows what we want and doesn't become confused. Stay is a hard command to learn, not only for the dog, but also for us owners. To teach stay, we must be patient and work in tiny steps. First we have the dog stay put while we stand in front of it. It's okay if the dog sits or lays or stands as long as it stays in that same spot. In the beginning, just slowly take one step back for 2 seconds, then try one more for 2 seconds and come back to the dog, praising it for a good stay and releasing it saying "done." Try again increasing your distance. If the dog does not stay for you, then try it again at a shorter distance away, take fewer steps. 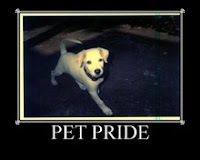 Above all, be patient, the dog generally wants to please you but won't if you get upset. Abby did really well on stay for me once I could get her to sit. This video shows how I goofed at first by forgetting to come all the way back after she succeeded but then I remembered from then on. Gerard had a tougher assignment--he had to have her lay first and then stay which took awhile but she did it! Then, all the dogs were lined up in a row which meant Abby had Killer on the one side of her and Odot on the other which was hard for her to ignore. Gerard's video is posted on Abby's blog at: "Saturdays Are So Much Fun." For "Come" the trainer said we should give a special treat because it is so important for them to learn this. The trainer told us that her dog was running along her fence barking at the dog on the other side when she called several times for it to come. The dog ignored her so she went back in the house and got a raw carrot which her dog loves. This time, she called, "If you COME, you'll get a carrot with emphasis on "come." The dog came immediately, no hesitation at all. For Abby, she seems to really love the meat filled chew sticks and the Better Than Pigs Ears so we're going to use those when we do the come command with her. I highly recommend dog training classes. We all enjoy it, especially Abby. Notice how her tail always seems to be going in the videos? I found this site, cash4books when visiting Red Pine Mountain this week. All you do is enter the book ISBN numbers you want to sell, get a quote of how much they'll pay you (either by check or PayPal), print the postage label and send them away. Books must be in good condition and they usually only buy those that are 2006 or newer. I finally learned what a "megapixel" is when visiting Better in Bulk. It's one million pixels or dots that make up a digital picture. Basically, the more the better the picture quality. This post includes a table letting you know how many megapixels you should have for what size prints you want. This blog also has a tab for photo tips with a post on how to make pictures you load to your blog larger. I found 5 Tips to Improve Your Pet Photography at Dogster's For The Love Of Dog Blog. Make shots more interesting by shooting at pet's eye level and from different angles. Avoid using the flash and try to shoot early morning or evening rather than in bright sun during the day. Monday I got my results back from the biopsy and I have some cancer in my right breast--not the news I was hoping for. Learning the meanings of new words like Lumpectomy (removing the cancer, saving the breast, followed by radiation), Mastectomy (removal of the breast, Lymph Nodes, sentinel node biopsy--removing lymph nodes to screen them for cancer cells. Way more than I wanted to know! UPDATE: Thanks for all your support and prayers! It's so nice to know many people are pulling for me. I just found out last night that sugar causes the cancer cells to increase. This is very bad news for me because I usually eat 2 donuts a week and love chocolate! Both are very bad and are on the "foods to avoid" list. The other bad news for me is that the "good food list" is vegetables which I eat zero of unless I go to a buffet. And guess what is the best offense against the Cancer cells--green tea and vegetable drinks! YUCK! Please pray God will help me acquire a taste for these things--I know With God, all things are possible! For a laugh, check out my previous posts about green tea and donuts: Green Tea Is Not For Me, No Thanks! and Donut Day, Hurray, Hurray! At Out of the Mundane I found a tip for those who like playing FarmTown on Facebook: Plant raspberries. At Modern Mom I learned today that to make ice cubes faster, use boiling water in place of tap water and they will freeze faster and be clearer! Modern mom sure comes up with lots of good tips! I wonder if this post I do each week could count as Friday Fragments. What do you think? Would I have to change the name to link up to others? While on vacation the day after I had my ultrasound done I was enjoying my day with the pets and blogging when I got a call from my doctor’s office right before I’m ready to eat lunch. I’m thinking this cannot be good—they NEVER call me. The receptionist told me my doctor needs to see me right away. I get there in 20 minutes and am referred to a surgeon because the ultrasound place recommended a biopsy be done on “something suspicious” that showed up. I’m thinking, okay, I’m not going to worry that it’s cancer until I hear it is. I went right away to find the surgeon’s office and make an appointment to see him. When Gerard got home I went with him when he walked Abby to tell him about my strange afternoon. We both tried to stay positive and hope it was nothing. Gerard and I were both off work for our annual doctor appointment so he came with me to my follow-up appointment with the surgeon to get my biopsy results. My doctor hadn’t received the results yet! I called the hospital and asked them to fax them over. Why don’t doctors communicate with each other? I feel like I’m a “doctor coordinator” here. They came through and I could tell they weren’t good. If they were, he would have told me. Is it any wonder my blood pressure was up? When I got to the surgeon, I had to wait an hour before I got to see him. Finally, he told me I had some cancer in my right breast which by this time I already figured out. Still, it wasn’t the results I was hoping for and I kind of went into shock as he quickly explained my alternatives and the risks. The next day, I made an appointment for a lumpectomy on September 1. I am so appreciative of all the prayer support I’ve received from my blogger friends! I just let a few know through personal emails the day after I found out and Mountain Woman at Red Pine Mountain posted about my need for prayers (with permission). I know I’m in good hands and God will see me through this. Many people have had this experience so now I figure it’s my turn. I am looking at this as just another life experience and know that God knows all about me and my body and I’m His child. The blogging community has really been wonderful to me! Thanks so much for your prayers and well wishes! I can’t thank you enough! UPDATED 12/24/09: I had a successful and painless lumpectomy on Sept. 1 followed by time off work with pay and a month of radiation treatments that were quick and painless and am back to work full-time. Will start taking Femara January 1, 2010 for five years. I felt fine through my whole recovery period (except for the bad cold I got at Thanksgiving). I was back teaching Sunday School just one week after my surgery. I'm using this old post for Mama's Workshop prompt: Who blind-sided you? 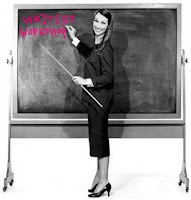 Write about a time someone caught you totally off guard. When You Fall In Love, What Side of Brain Do You Use? Take this little quiz to find out. Here are my results and I feel they hit the nail on the head. When it comes to love, you try to be as rational as possible. Your head doesn't lead you astray. You believe that love should never be blind, and you're not the type to get swept away easily. You are a cool customer when you fall for someone. You are able to look at things directly. You believe the honesty is key to a good relationship. You also try to be dependable and trustworthy. and share your results in the comments. 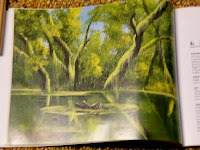 The Bayou on the left painted by me. The book copy on the right. 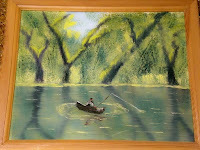 My mom used to watch Bill Alexander paint pictures on TV and he would tell what he was doing as he went along. My dad knew she liked watching the show and built her an easel, made a palette, bought some oil paint, brushes and some of his books for her so she could paint. The books showed a picture with step-by-step instructions on how to paint it. After watching her do it, I wanted to try it too. "Hunter's Cabin" by me on the left. The book copy of "Hunter's Cabin" on the right. My mom and I got many hours of enjoyment from this hobby. As we would finish paintings, dad would build frames for them. The only problem was that we ran out of space to put them. It sure was fun to do though, even if they didn't look exactly like the pictures in the book. I specifically remember doing the "Bayou" and "Hunter's Cabin." We laughed so hard at our attempts to get it just right. The Bayou went pretty will until it was time to put in the canoe with the person in it. The "Hunter's Cabin" one we did twice and couldn't get the cabin the same size as the picture. I only did one original of my own which was supposed to be a camp site. Again, I had a hard time when it came to putting in people. When I was painting, I noticed things more and found myself thinking, "I could paint this sky or that tree." I would look at a sunset or dawn and actually see the different colors in the sky. Unfortunately, when clearing out dad's house after he died, I threw out the easel. 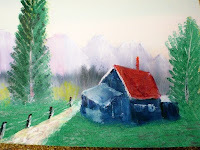 You can read about it and see three paintings my mom did at Are You Sure You Want To Throw That Away? at "My Funny Dad, Harry. What hobbies do you enjoy or have you given up and why? Tough Question Series: What Does God Really Think About Women? “What does God really think about women” is the tough question Pastor Dan preached on August 2 at Parma Heights Baptist Church. Other “sub-questions” under this one included Does God think women are lesser than men? How can God understand women/females if He is Father/Son and has no feminine qualities? It is commonly thought that the Bible is sexist and God is sexist but that is not the case. Pastor Dan went to Genesis for the answer. Pastor Dan gave a funny example of how his wife helped him get through the automated toll booth and figure out the toll. It was a funny illustration. Everything God created in the beginning was good except the fact that Man was alone. The Lord god said, “It is not good for the man to be alone. I will make a helper suitable for him. (Genesis 2:18). Note, creating women was God's idea. Pastor Dan pointed out how different men and women communicate by relaying a funny example of taking about a hair cut. If a woman tells a woman she got her hair cut, they can go on discussing haircuts and styles for quite awhile, but if a man tells a man he got a hair cut, the reply would most likely be “a haircut, hmm” and that would be it. So where did all the conflict between the sexes come from? The result of sin and the curse of our age is conflict between the sexes. This verse (Genesis 3:16) is not a description of the way things should be. This is a description of the way things are going to be while sin reigns. Dominating men and devious women. This is not the meaning of male and female in God’s image It is the ugliness of sin. But it points to Christianity because it begs for the healing that only Jesus brings. If you’re in the Cleveland area, stop by and visit Parma Heights Baptist Church. We’d love to have you! Are you a good helper to your husband? How has your wife helped you lately? It seems I'm always helping Gerard with something--fixing things, attaching Abby's leash, navigating to new places, making phone calls, posting his book reviews and giving computer assistance when needed, etc. Why Doesn't God Heal Immediately? At Your Fun Family there is a post about a cool website available where you can manage your sports team. It's called www.teamsnap.com but the only catch is, it's not free except for a 30-day free trial. This week I was referred to look into SITS by Mountain Woman. SITS is a site that promotes commenting on blogs. It's a great way to find new blogs and bring more traffic to your blog. Each day you just leave a comment to "check in" and then there is a featured blog which has links to three of their best posts. The idea is to visit these blogs and leave a comment. If you've been seeing comments with "Happy SITS day" or "Visiting from SITS" or "Congrats on your SITS day" or something similar, this is what that refers to. It's just another community of bloggers who visit and comment on each others blogs. Why not check it out? He was an atheist but became a Christian. He married an actress and has six kids. He and his wife run a camp each summer for families with special need kids to have fun. In his recent movie, "Fireproof," the producers respected his conviction about not kissing any woman other than his wife su let her substitute in for the big kiss at the end of the movie. To cut down on your cost for textbooks, you can rent them! There are several sites that you can try and one even plants a tree when you rent a book from them! Check out the post I found about this at Robynn's Ravings. At Meow Diaries I found a whole list of ways cats show they love you. I am pleased to report my cats do all these things: blink at me, show me their belly, let me groom them, knead and rub against me. Glad to know I am loved! 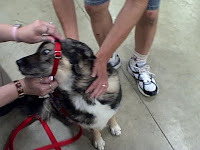 We are learning a lot in our dog training classes at PetSmart with Abby. Basically a new command is introduced and each dog gets to try it with their owners and assistance from the professional dog trainer. Then, it's up to us to practice at home. In the class, it took me and Abby about eight tries to get her to sit and wait while I opened the door and not come until called. Everyone clapped when she finally did it right and she was very pleased with herself. It took Gerard and her about four tries. This video was not pieced together or edited except for inserting the titles. As you can see, we are making progress. It took only two tries to get it right for both Gerard and me. The idea is to get her to sit first, then open the door and tell her to come. Then praise her and give her a treat. Also, we were told when we walk the dog to make her wait before crossing any street. She does this well, but of course, she is on a leash. The trainer said though that if she's trained to wait at a street and not go until told, then if she got off the leash, she would probably wait at the street which could save her life. We have to keep working at this because at the park when she got loose, I didn't see her stop when she got to the park road. At Word Journey I saw this powerful video that really made me thankful that I live in the USA and don't face this kind of persecution for my faith. It also reminded me I really need to pray faithfully for those who do. Please take the time to view it. When this kind of persecution is going on in the world today, it makes me wonder why God doesn't step in like He did in Daniel when Shadrach, Meshach and Abednego were thrown into King Nebucadnezzar's fiery furnace for not bowing down to worship his idol. They were delivered unharmed and didn't even smell of smoke while the guards who threw them in died. Any ideas? · Didn’t fall asleep during the sermon—was interesting. · Preached the Word of God, used Bible. · Used PowerPoint slides to show announcements, words to the songs, sermon points. · Lots of people involved in ministry. · Programs for wide range of people: families, big youth group, singles, seniors, widows, lots of different small group Bible studies. · Clean, neat, orderly and everything was well-organized. · Opportunities to participate in ministry as a part of a team. · Three service times on Sunday morning. · A great sounding choir. · Padded pews more comfortable than what we were used to having. 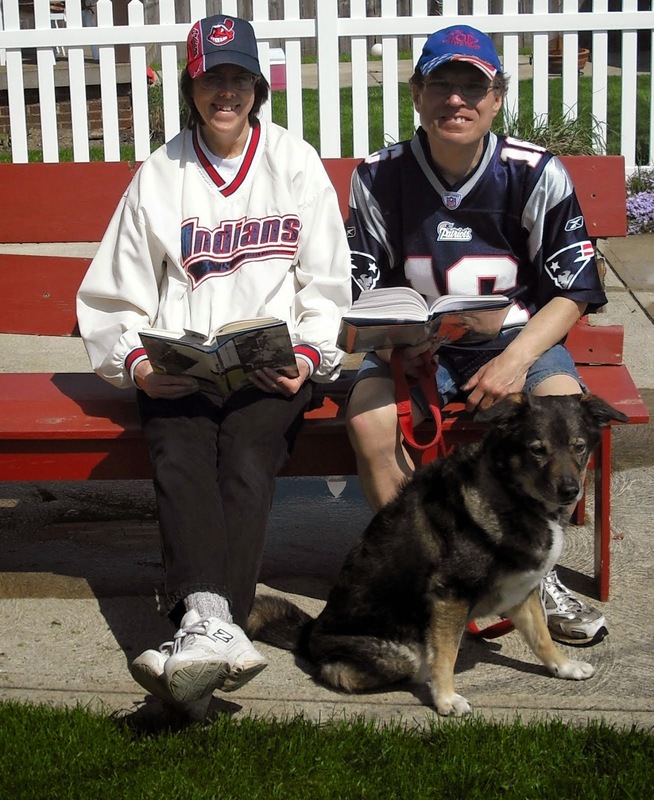 · Had an Adult Bible Fellowship (ABF) class for newly marrieds taught by a funny man. There were several other older couples in there as well so Gerard and I felt very comfortable in there. 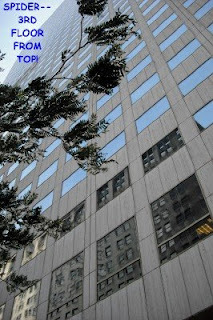 · Building and grounds well maintained, nice looking. · Big nursery and Jr. Church for the children. · Felt good when we left and weren’t upset like we were after services at our other church. · It has a puppet team that we are a part of. · Their Statement of Faith reflects is in line with what I believe to be true. What made you choose your church? What things do you like about it? I grew up in a the Brooklyn Christian & Missionary Alliance church where I was actively involved for 40+ years. It was the church Gerard and I got married in and where we attended for three years after we were married. I had strong ties to it but I was growing very discontent and was no longer enjoying my worship experience there for a number of reasons. I am not one to quit easily so changing churches was a big decision for me. Gerard and I felt it was time to move on and together find a church that we both liked. In Cleveland, there are so many churches around. 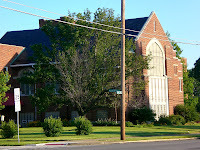 In fact, there is a United Methodist church just one street away from us on the corner. I never went church hunting before but looked forward to it, thinking it may be fun. Our old church was small so I didn’t think I’d want to go to a church that had close to 1,000 people attending on a Sunday morning. In spite of Parma Heights Baptist Church being that large, we started our hunt with that one because it was about a 10-minute drive and we knew some others who left our church attended there, including my sister’s family. 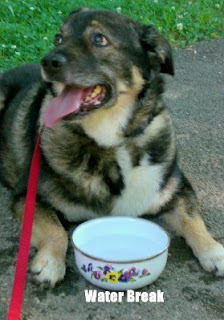 As usual we took Abby to the park this morning. I didn't bother bringing my video camera or digital along because I figured we already had pictures of walks in the park. Little did I know today we would have yet another adventure and it would be different from other walks in the park! We were walking along really well, Abby was staying with us real good and we were having a great walk through the Big Creek Metropark. When we came to the main road, it was going so well and she still had a lot of energy so we decided to continue along and cross to the other side. I thought we could take a short break so crossed through the wide open area and sat on a bench for awhile. All of a sudden, I notice Abby is off the leash, running down the park road, around the bend and kept on going even though both Gerard and I were calling her to "come." Ha! A lot of good that did! She was really moving and people were stopping to help us try to catch her. (Actually it was only about maybe three minutes what seemed to me like 15, she changed direction and headed back toward us. She went by a couple men who were working on the shelter roof and Gerard called to them to please stop the dog for us, which the one guy did after asking if it belonged to us. I am so thankful it happened at that park in an area far enough away from the main road and not while Gerard was walking her early this morning or while we were crossing the main road to get to this side of the park. I'm surprised it didn't come off when I was running with her across a flat patch of grass and trees near the parkway road. Whew! It could have been so much worse! I believed she would come back to us at some point (if she didn't get hit by a car first) but it was good that nice guy was able to stop her. Abby looked so happy running free like that it made me wish we knew of someone around here with a farm where we could let her run free. Several people at the park watched as we called for her and started calling for her to come too. One couple even got in their car to go look for her. The crazy thing is I can't figure out how the leash came off. The metal hook that is connected to the collar that it was attached to did have a tiny gap on the one side but was not big enough for the leash to pull through. The dog trainer thought it may be the leash and the clasp must have slid over somehow and slipped off. What a scare! Gerard waited with Abby holding onto her collar while I went all the way back to get the car and bring it over (about 20 minutes later). Then we headed for PetSmart and got her a new collar and leash. 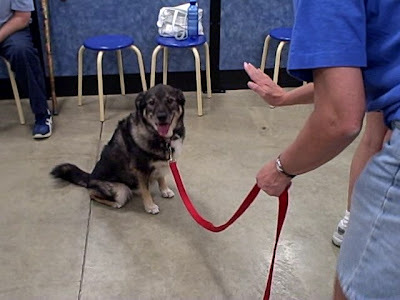 When we went to PetSmart, one of the clerks show us how we could wrap the leash around the collar and then through the handle of the leash and hold the other end but neither of us even thought of that at the park. I had left my video and camera in the car figuring we already had pictures and video of the park outings with Abby so people wouldn't want to see another one--too bad I didn't have this on the video--she was really beautiful running so fast over the grass and it was sort of funny that she didn't think about us at all. The best I could do is take some of her dog training class today and her getting her new collar. Her class mates Chewy, Killer are in it. We worked on the "come" command. You can be sure we'll be working a lot more on that one outside too! I am very disappointed in the Indians trades: Cliff Lee for minor leaguers and Victor Martinez for minor leaguers. It's obvious the Indians ball club just doesn't want to pay the big bucks to keep their good players. For more of my thoughts, see Zemeks' Updates. I'll be cheering for Boston the rest of this season! From Daisy the Curly Cat this week, I discovered how people cat get their pets mouths to move with the words they use when talking for them in a video! There's special software available to use for this called Crazy Talk. Be sure to check out Daisy's Monday Riddle post here for a cute demonstration. Ohio has changed their driver's licenses to pink! Some men aren't happy with that and some people thought the machine messed up and tried giving it back to get it redone. When one lady got her new license and saw it was pink, she wondered if the men got blue ones--but no. Everyone gets pink now because apparently it's a harder color to copy. At Red Pine Mountain since horses make lots of poop, they get lots of flies but they have a solution--they actually buy fly predators! I never heard of such a thing before. Visit Red Pine Mountain to read all about it and see her horse dressed up rolling on the ground! Had a biopsy on Tuesday. Went well in that they were able to get the right area. Actually took pieces of tissue. Wasn't painful at all since they numbed the area and just went into the breast with a needle, just noisy. Every time the technician went for a chunk it sounded like a big stapler. (The results of my aspiration is that the cysts are not cancerous, now have to wait to hear about the biopsy results). While stumbling which I don't do often,I found the Woman's Day site that has lots and lots of useful information. One thing I found out there that especially caught my interest is that Best Buy recycles electronics! Check it out here first, they only take certain things but charge $10 but then give you a $10 gift certificate. At My Library blog I found a good tip for cleaning those narrow vases that are hard to get to the bottom of. Use a couple Alka-Seltzer tablets! Someone told me how to make an ice cream cake and I'm actually giving it a try. It sounded easy enough that even I could do it. 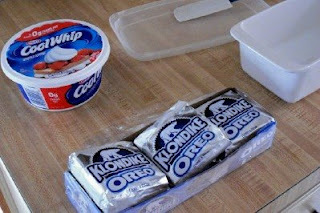 All you need is Klondike bars and Cool Whip! Put a layer of cool whip in the bottom of a pan. Then some Klondike bars (I just used two here). A second layer of Cool Whip. 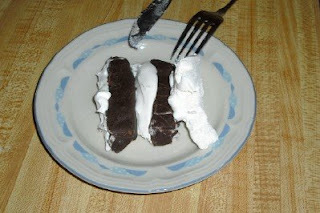 A second layer of Klondike bars. A third layer of Cool Whip. 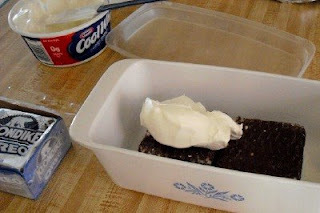 Since there are only two of us to eat this, I just used a small container but you could use a regular cake pan and just make larger layers. It cut easily the next day and came out nicely! It tasted delicious too! Gerard liked it too! I had this for my supper last night. Of course, you can fancy up the top too with, sprinkles, nuts, cherries, strawberries, or whatever else you think would be good. I still have some cool whip left so maybe next time I'll add some kind of topping. I'm just thrilled it turned out! I would expect to see spiders on the ground, climbing on the outside of a house, perhaps making a web in the rafters, but I never expected to see four spiders on the outside of an office window 33 floors up! Yep, there were four little spiders, two way up at the top of the window and two crawling around on the window. This is the picture of the one I was able to get. Sure was a high climb for these spiders! Another of God's amazing creations! The other strange thing I saw was a guy walking a dog, I think it was a Boxer. First off, that is pretty unusual to see a dog Downtown unless it's a seeing eye dog for a blind person. What really caught my attention though was that this dog had on a pink sports shirt with a number 18 on the back! It was a big dog so it must have been an adult t-shirt. Too bad I didn't bring my camera along when I went for a walk on my break, sorry. Speaking of pink, the Ohio drivers licenses are now pink! On my walk to the bus stop Monday, look what I saw on the sidewalk--a dead bat! This is the first time I ever saw a bat, dead or alive, other than at the zoo. What's the strangest thing you've seen lately? At Becca's Buzz I found this easy meme that I thought may be kind of fun to do. Feel free to go to her blog and sign up to participate too. Each wee she puts out a different list to do. This is the first time I'm participating. This week's list is Five Words That Describe My Blog. Here is what I think, hope you agree but if you think of another word, I'd love to hear it (as long as it's not mean).